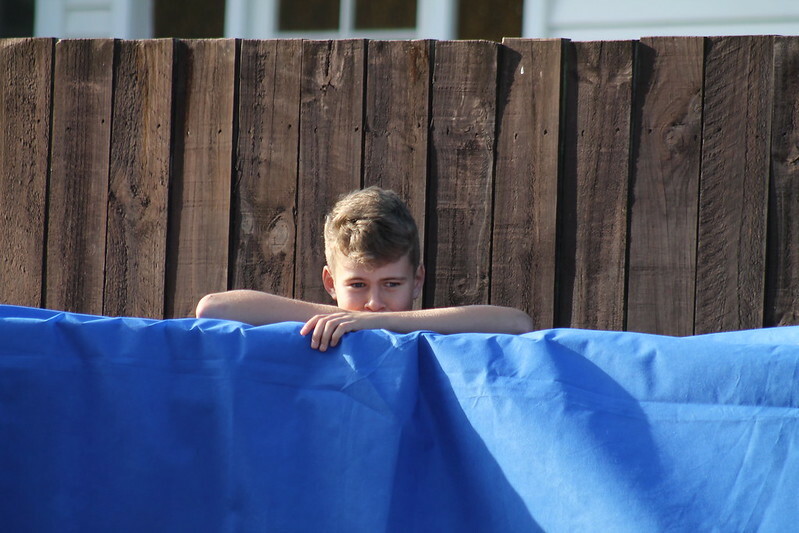 Skip to other pages in this section. 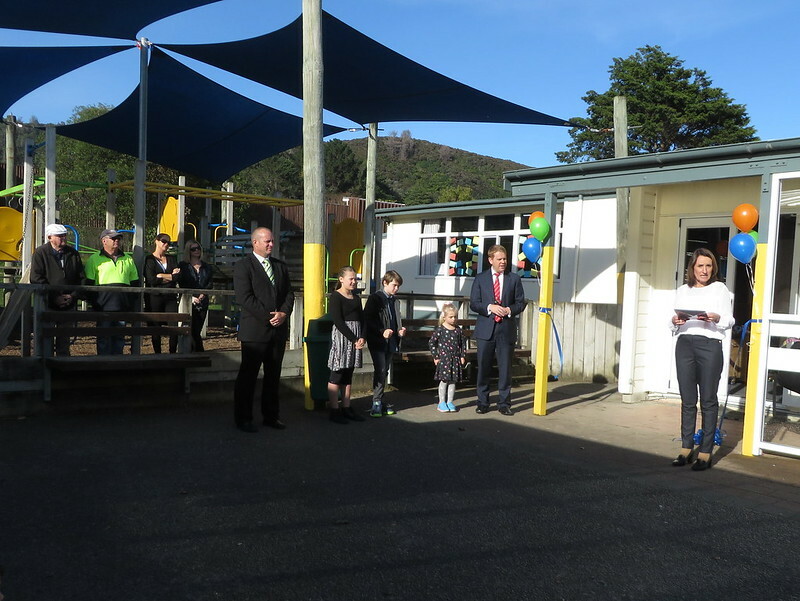 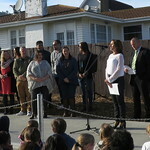 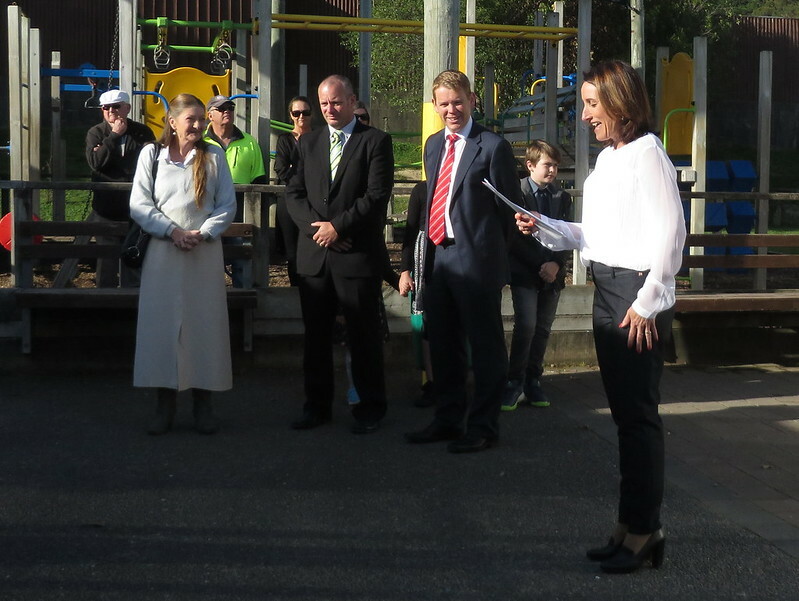 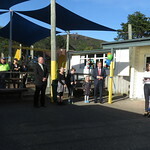 It was a beautiful but crisp day as staff, students and parents assembled promptly in the entranceway at 9.30am for the official opening. 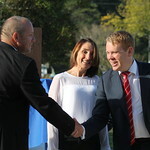 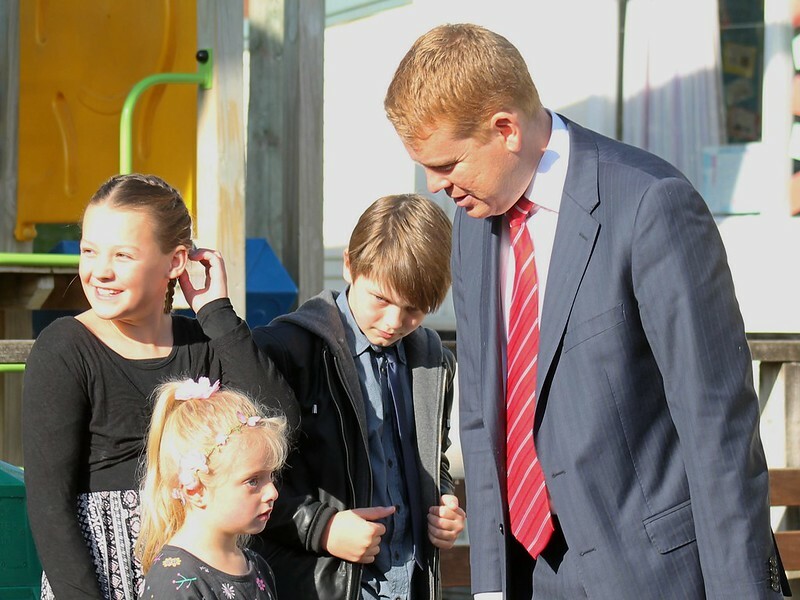 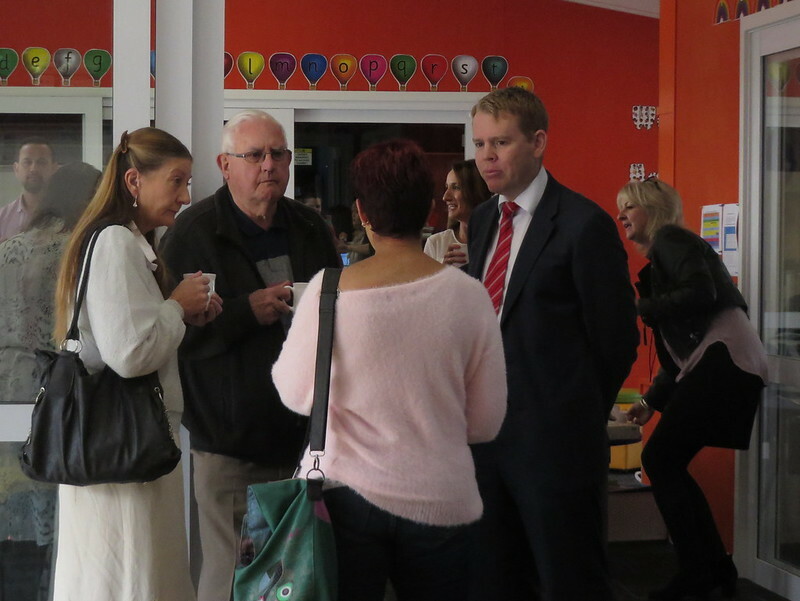 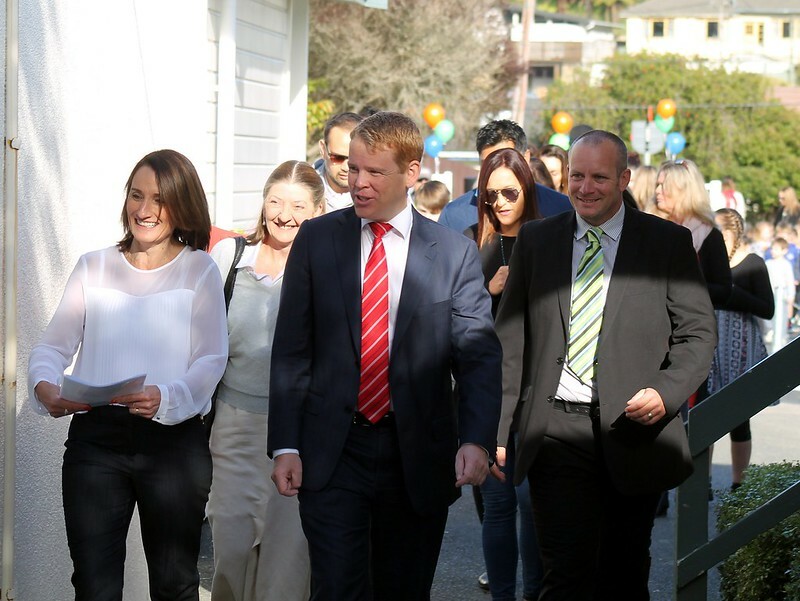 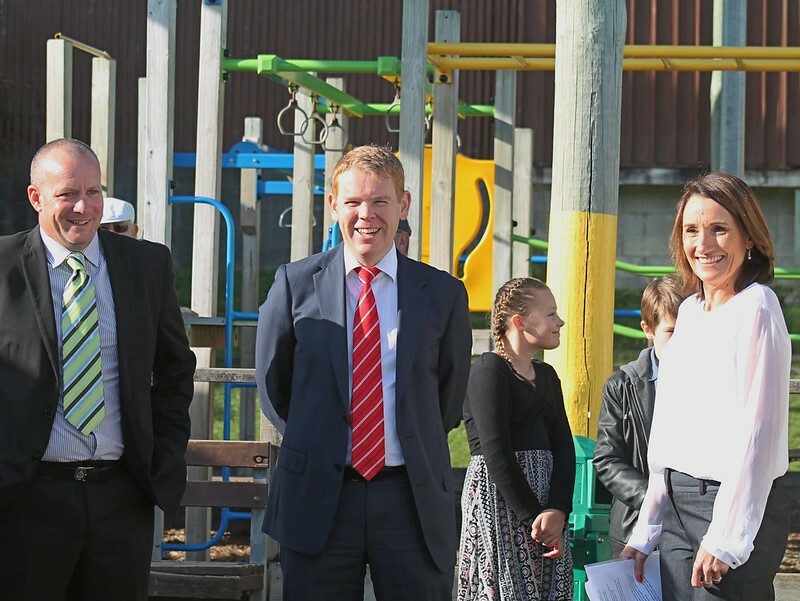 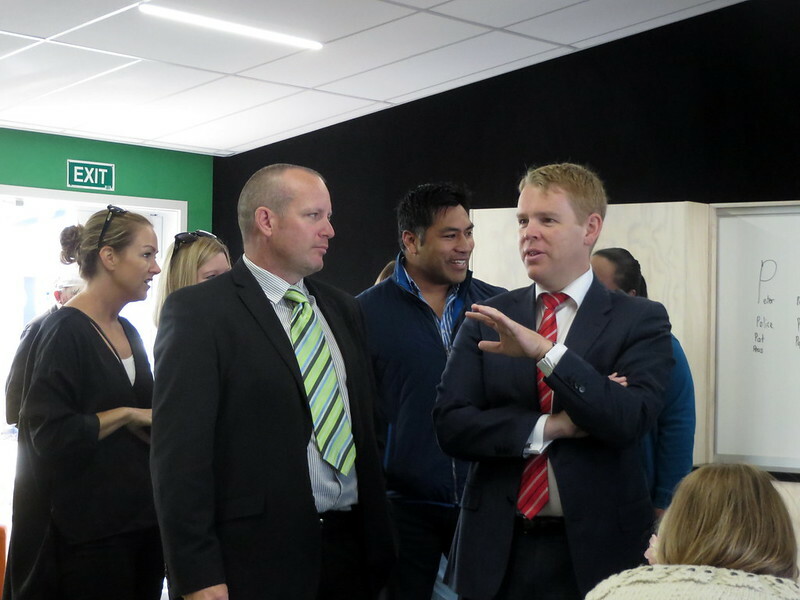 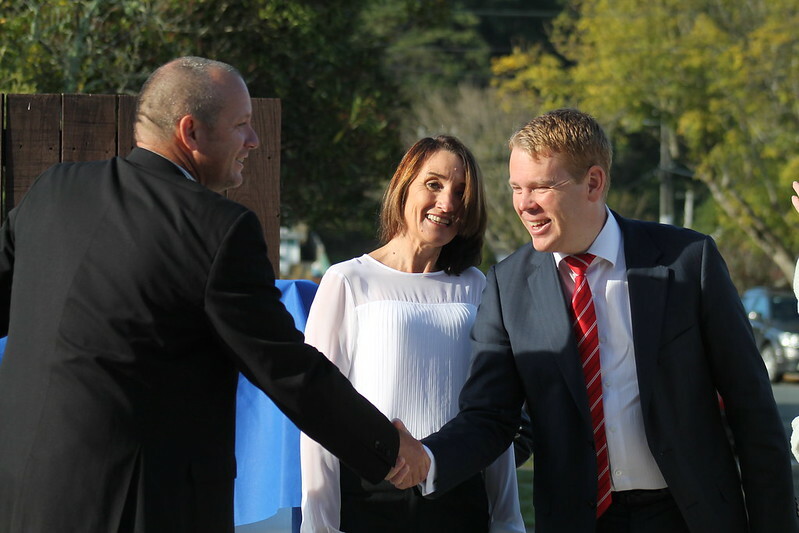 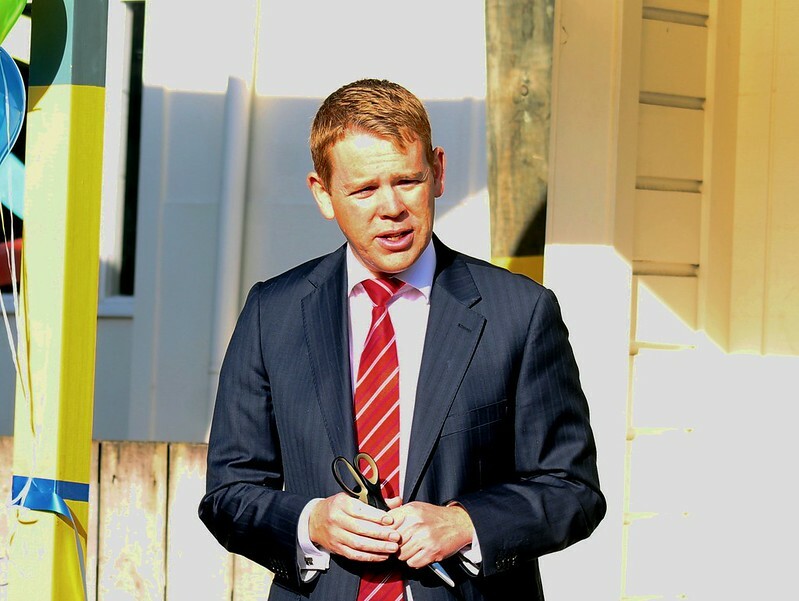 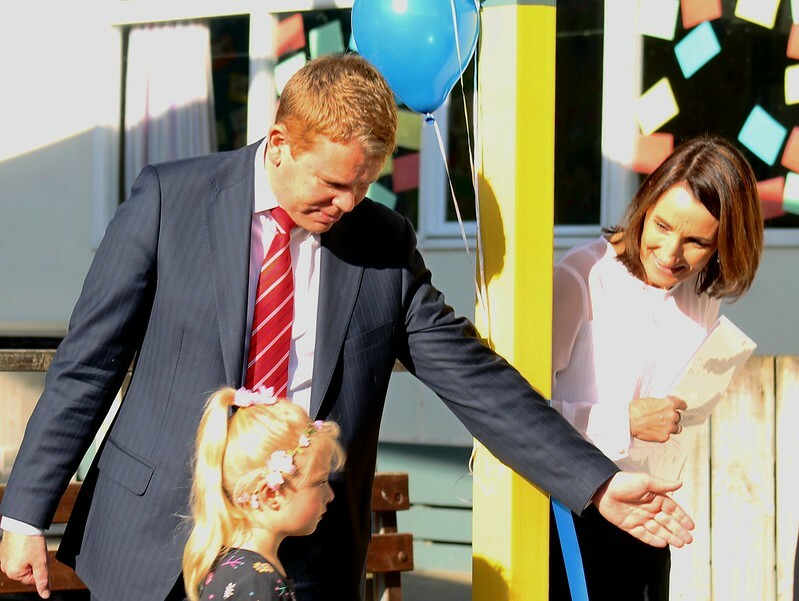 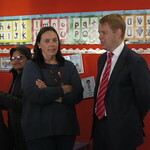 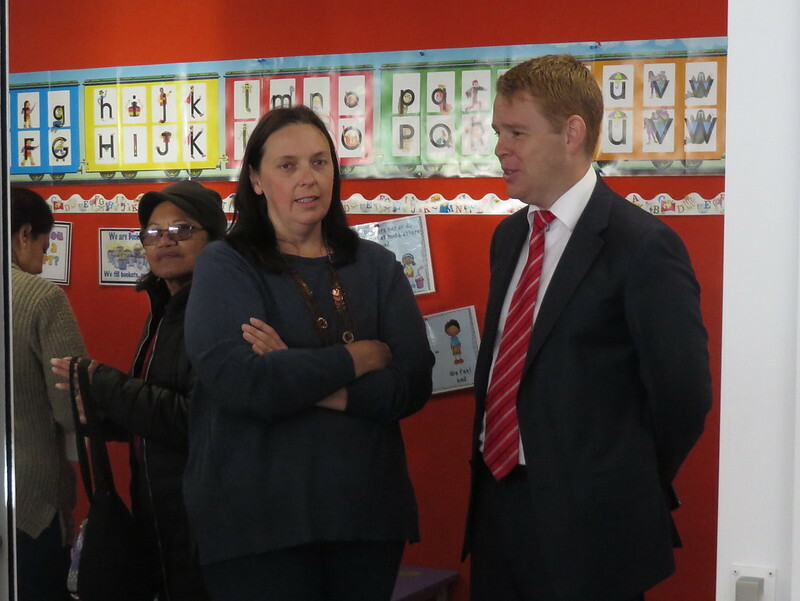 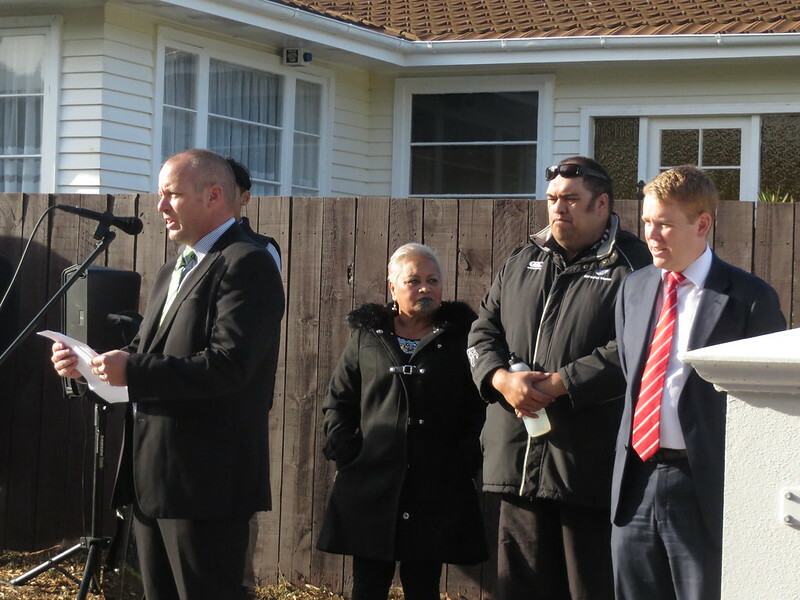 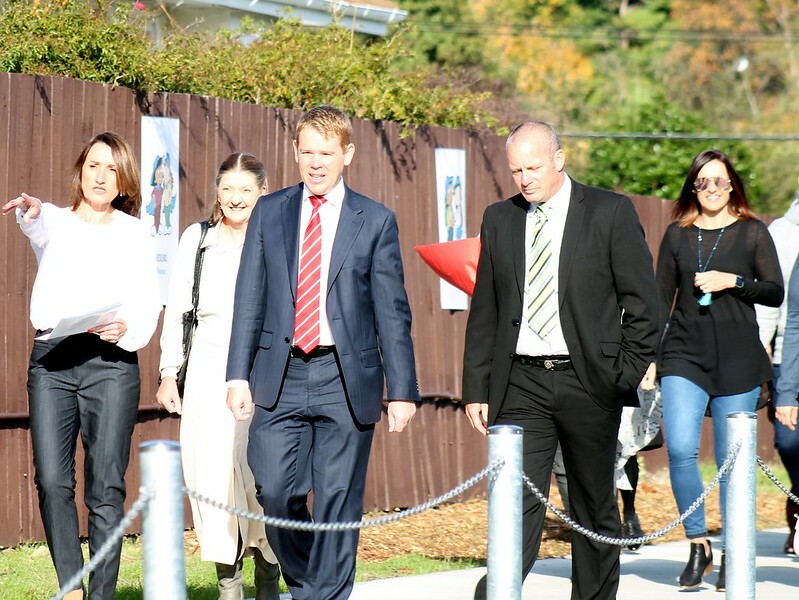 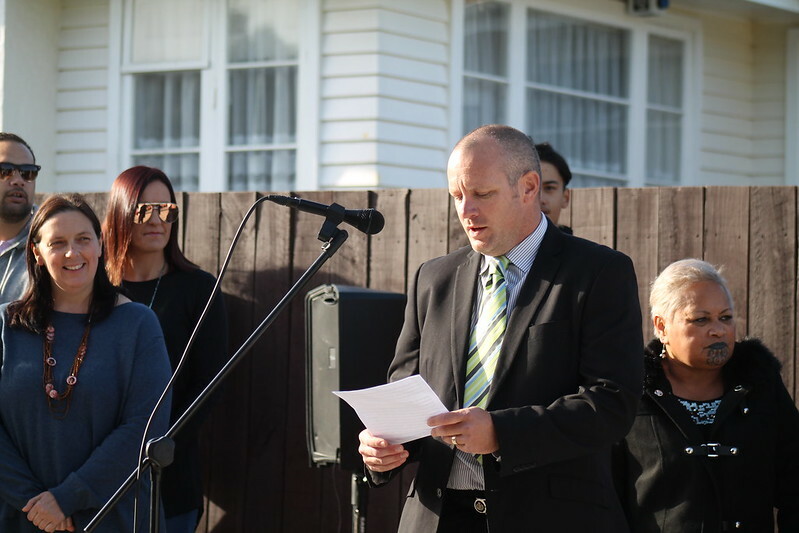 We were very fortunate that Chris Hipkins, MP and Minister for Education was able to come along and join us for this wonderful event. 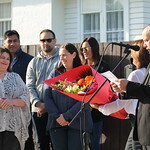 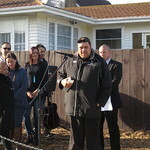 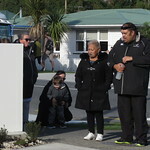 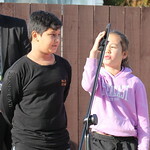 We also welcomed Shane Te Kira & Charmaine Waanga from Koraunui Marae. 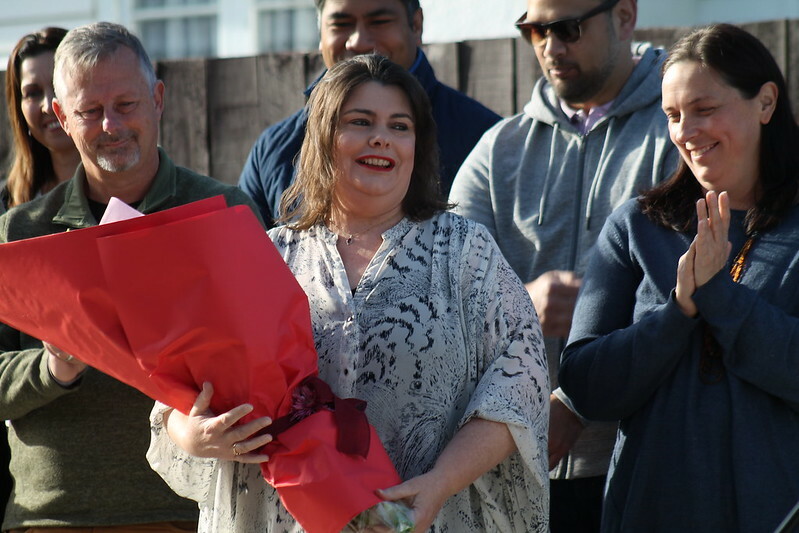 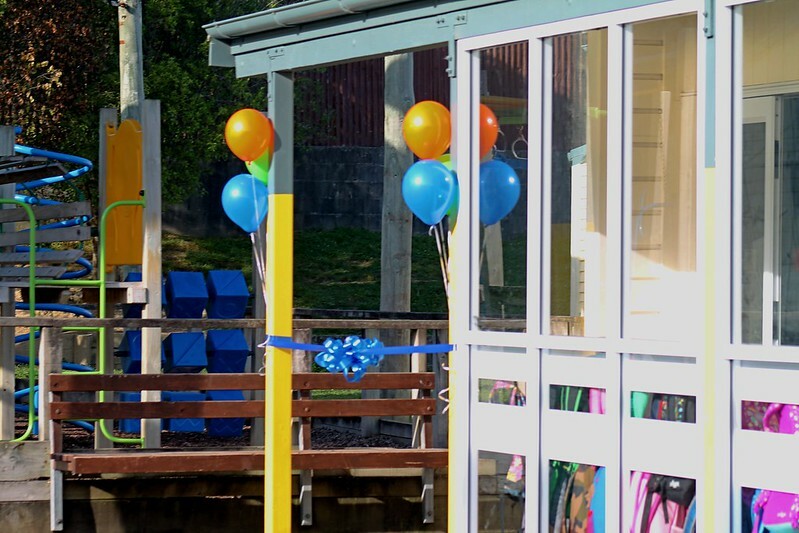 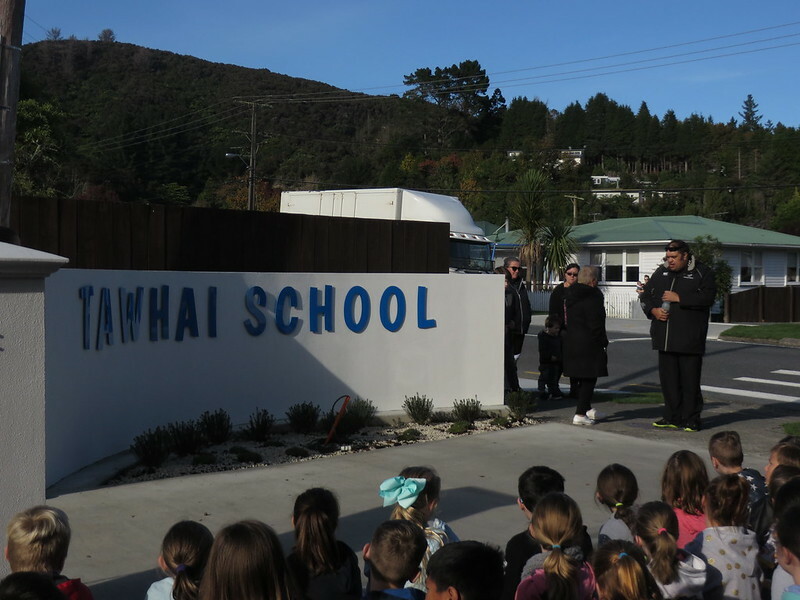 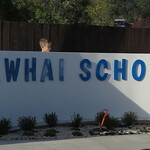 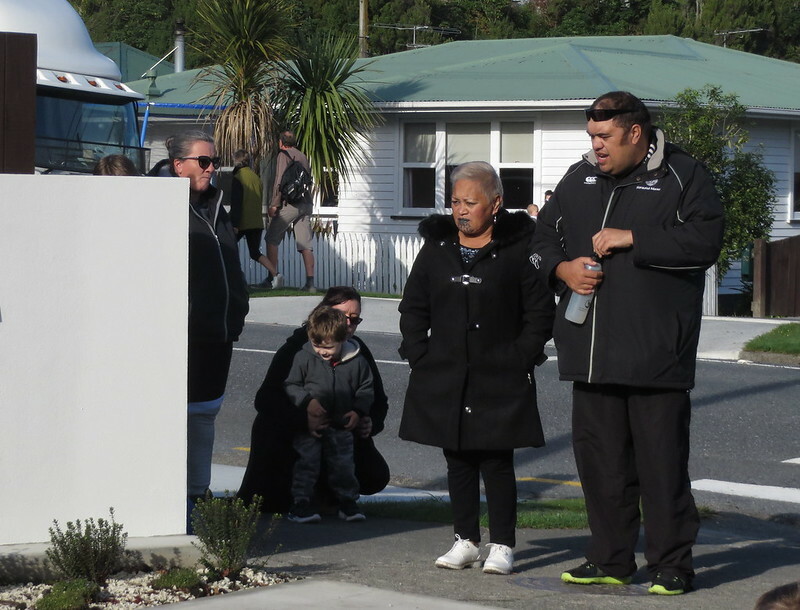 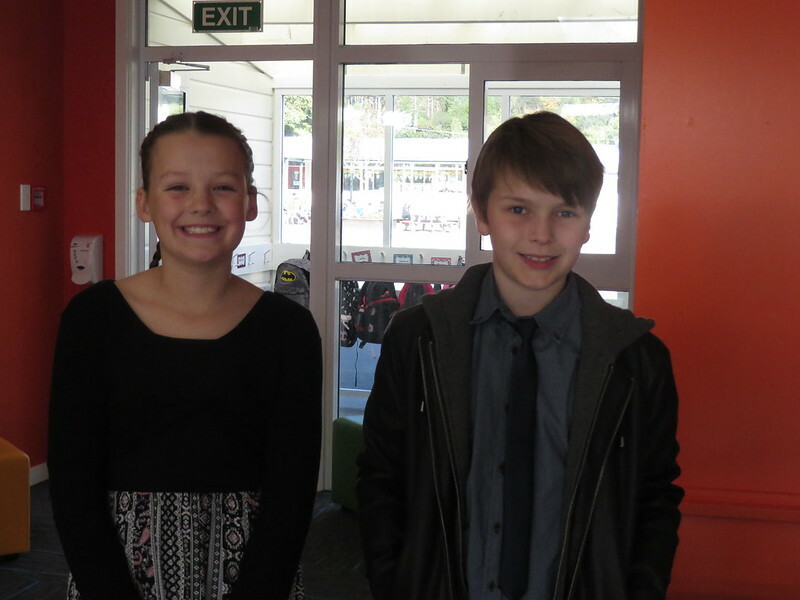 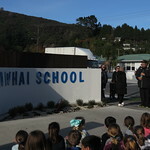 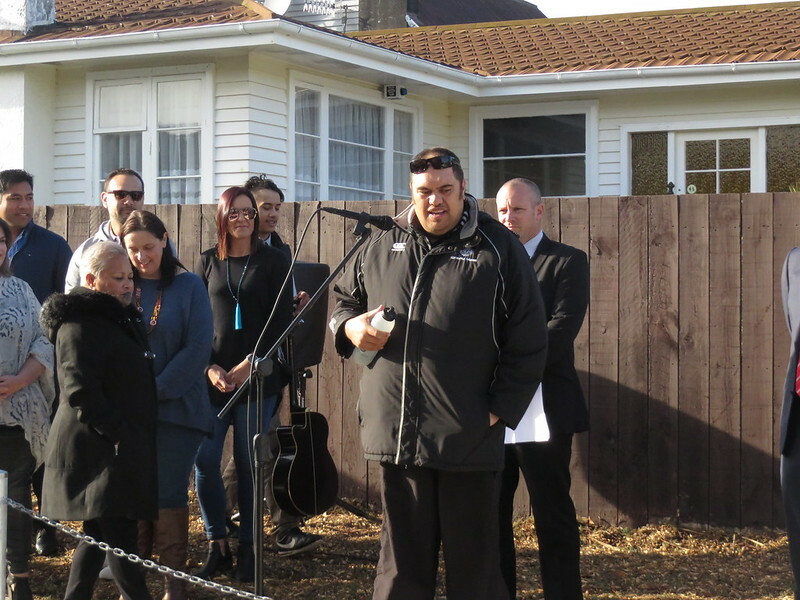 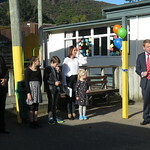 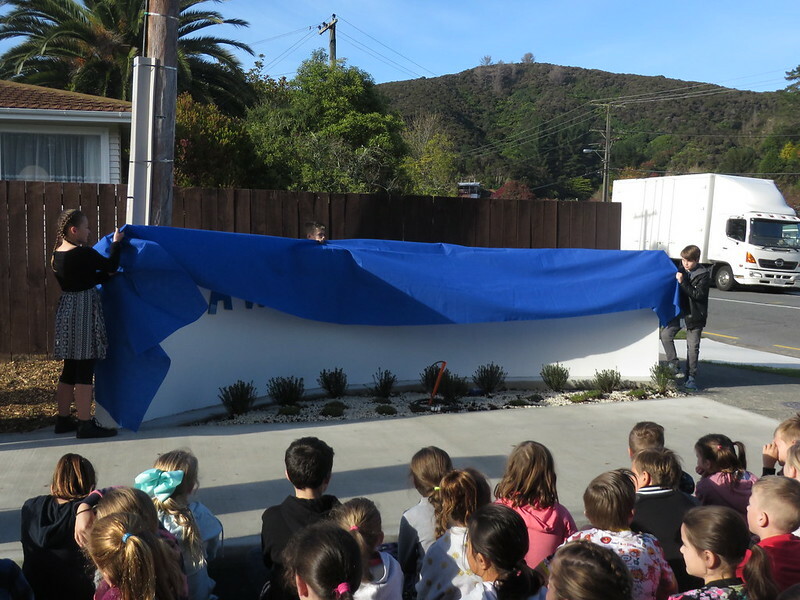 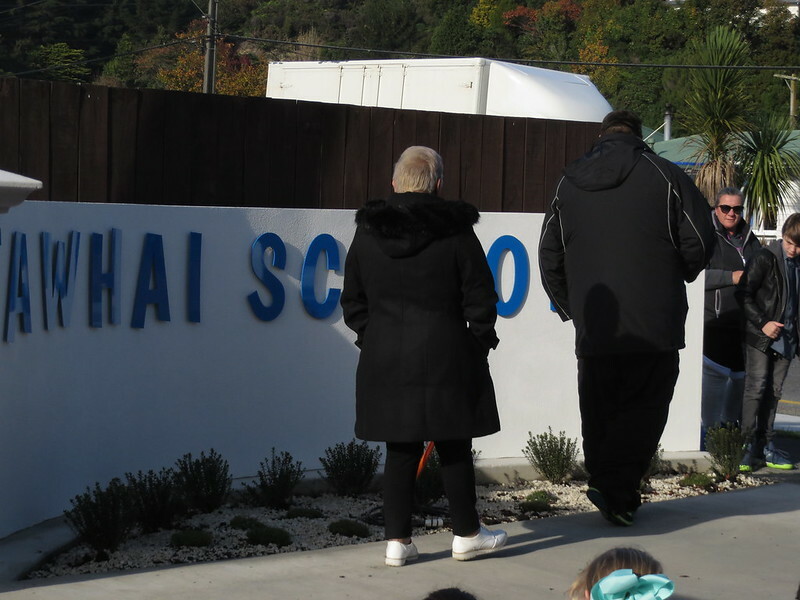 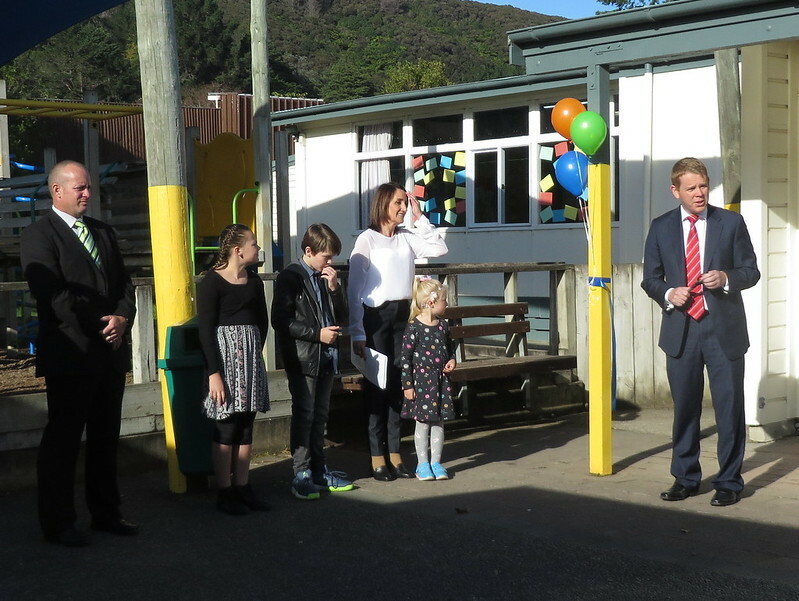 Mrs Poole invited Shane to deliver a karakia and while he spoke, Olivia Whitmarsh, Noah Wright and Andre Lummis unveiled the Entrance sign. 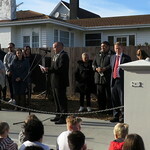 Stuart Berkeley, Chairperson for the Board of Trustees gave a speech, acknowledging all those who were involved in bringing the dream to reality. 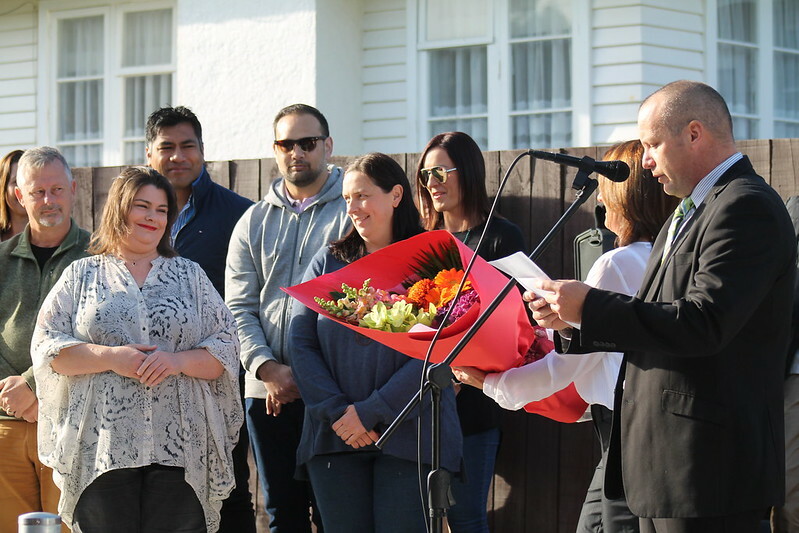 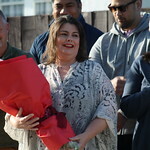 Raewyn Lummis was given a lovely bunch of flowers to acknowledge her time and effort with the entranceway project. 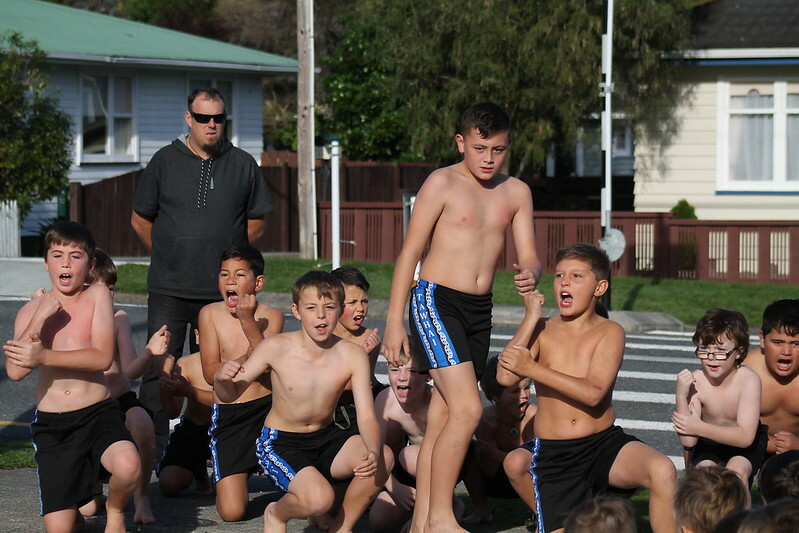 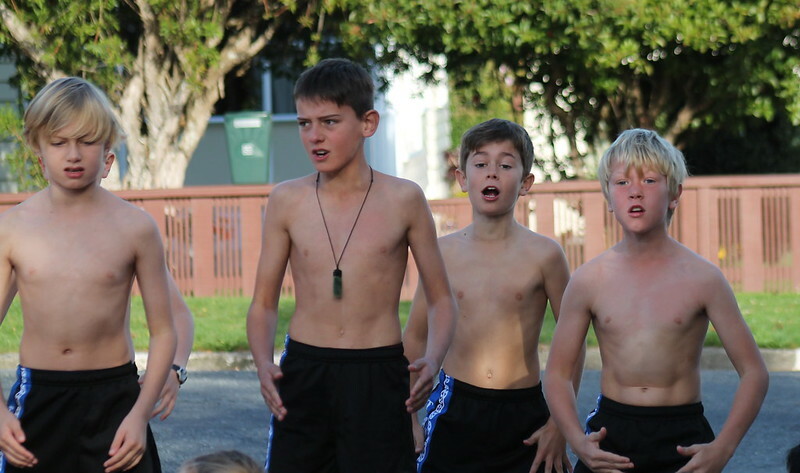 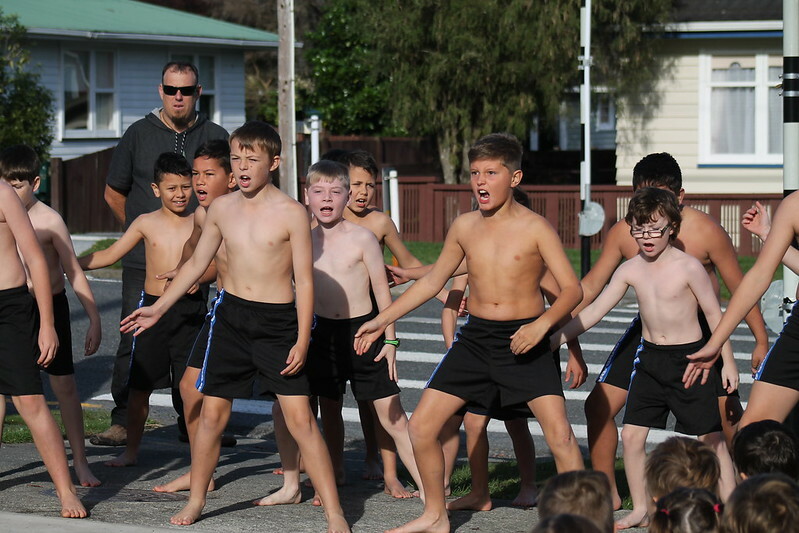 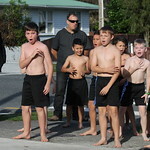 The Nga Tama Toa boys, as always thrilled everyone with their heartfelt haka. 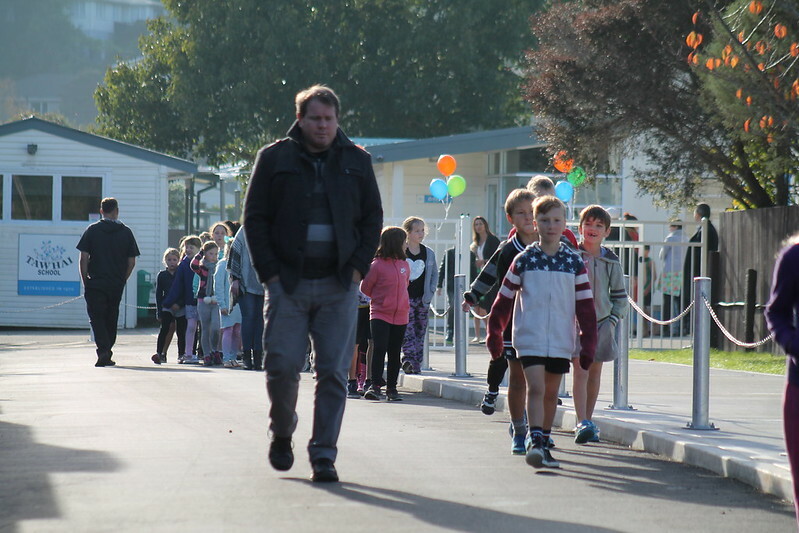 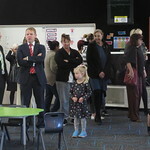 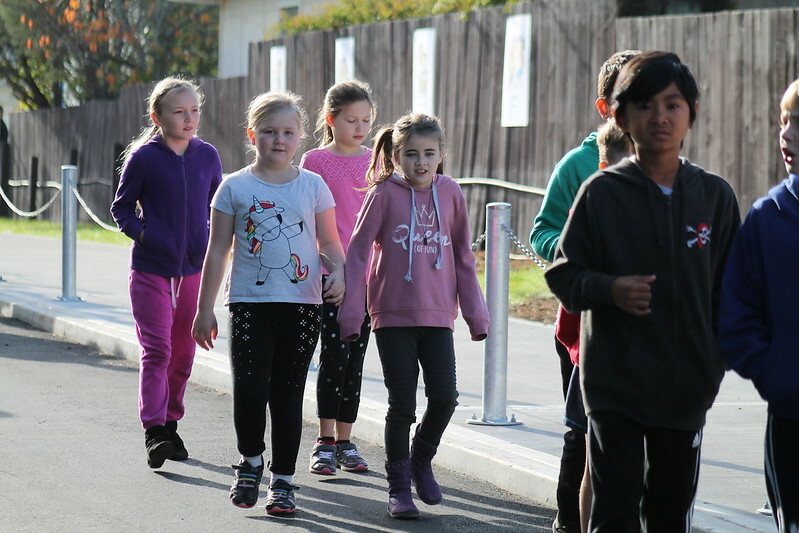 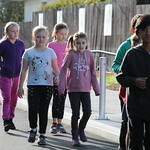 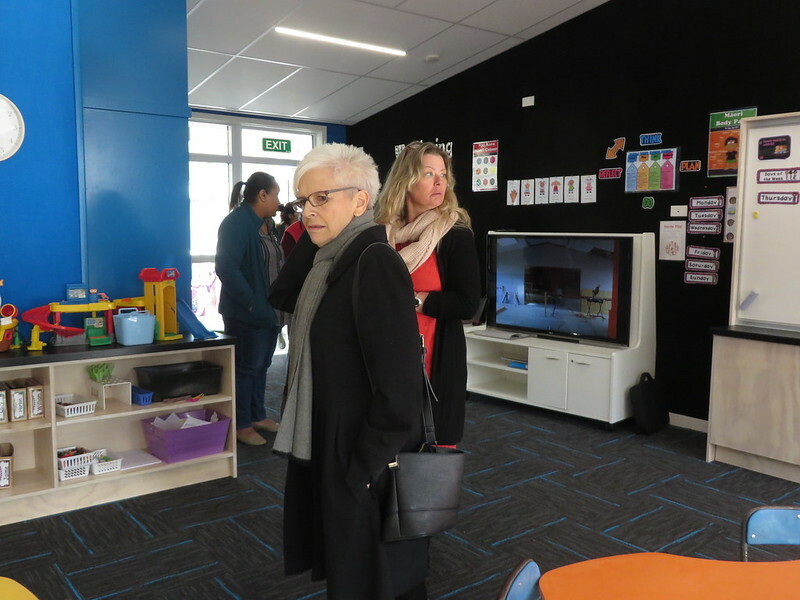 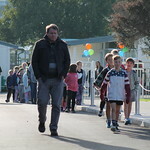 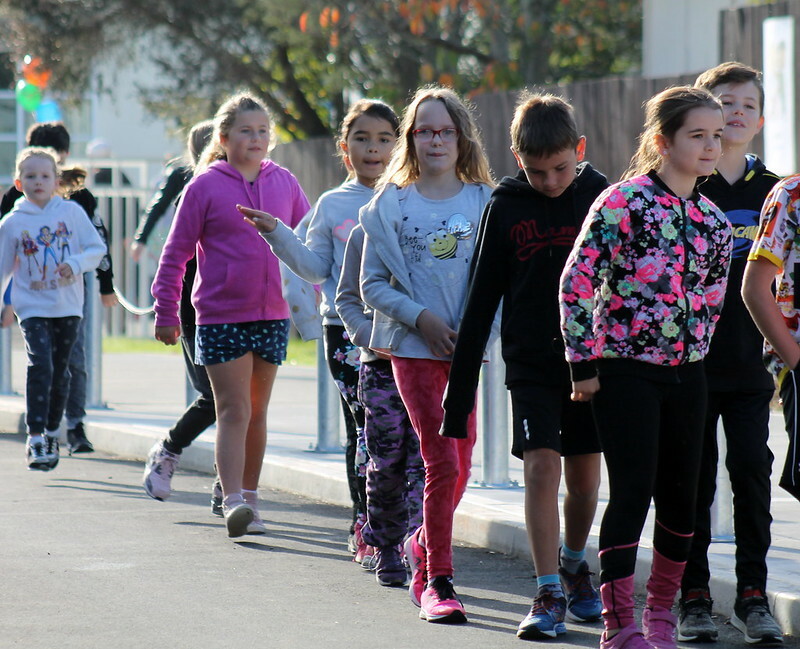 As the children began to sing the school waiata, the official party and the Pumpkin Patch students walked down to their Hub. 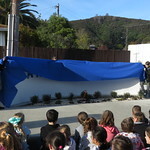 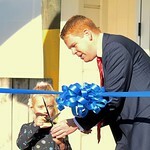 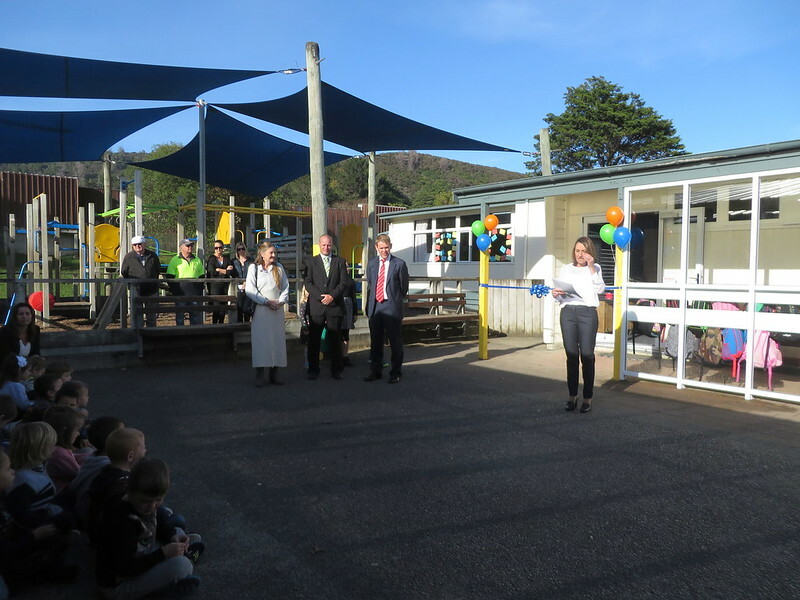 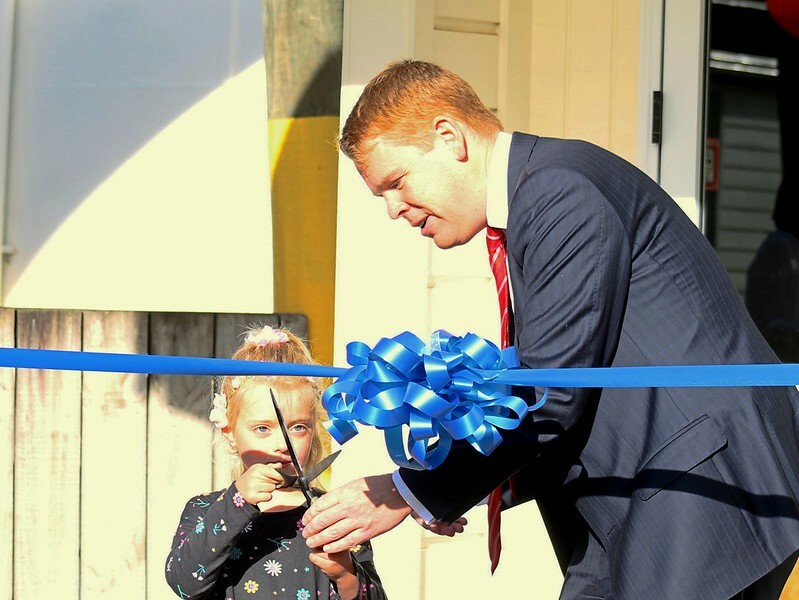 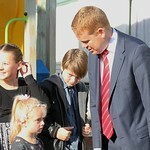 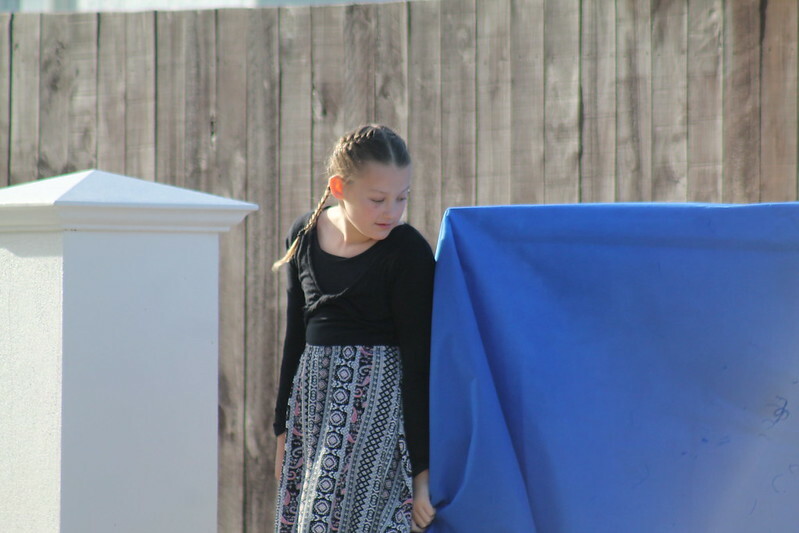 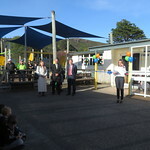 Mrs Poole spoke to the children and then invited Mr Hipkins to cut the ribbon with Pumpkin Patch student, Alexa Kapp. 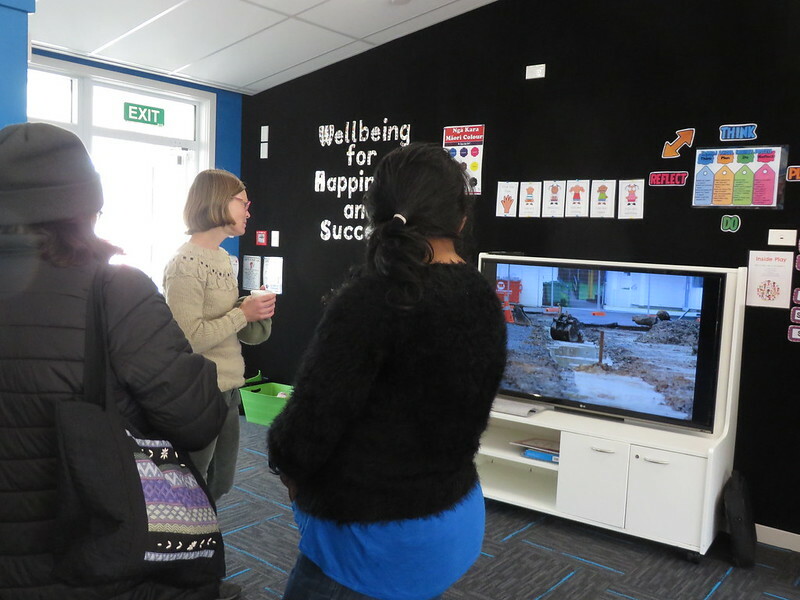 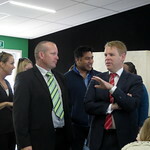 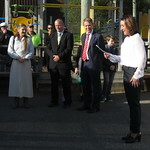 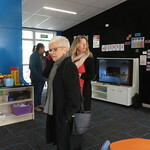 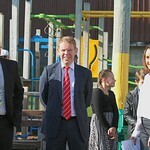 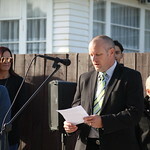 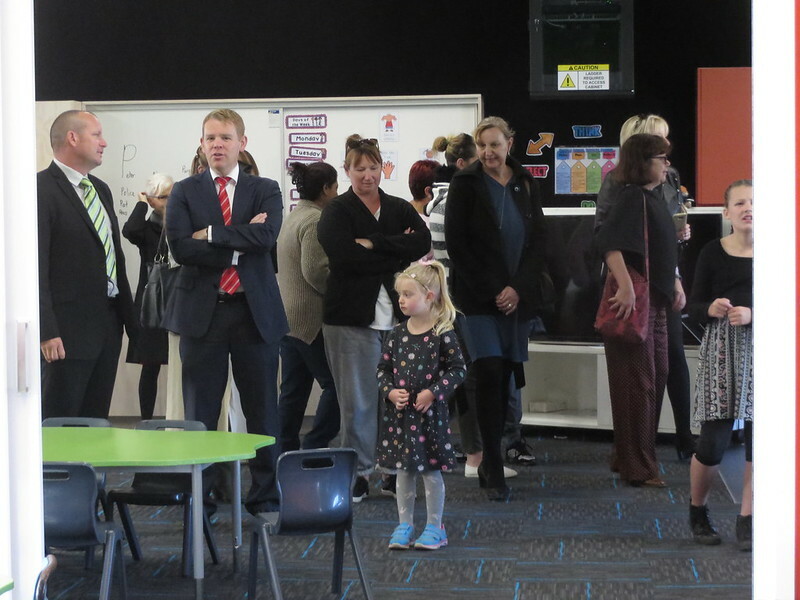 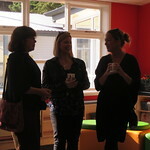 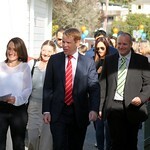 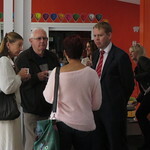 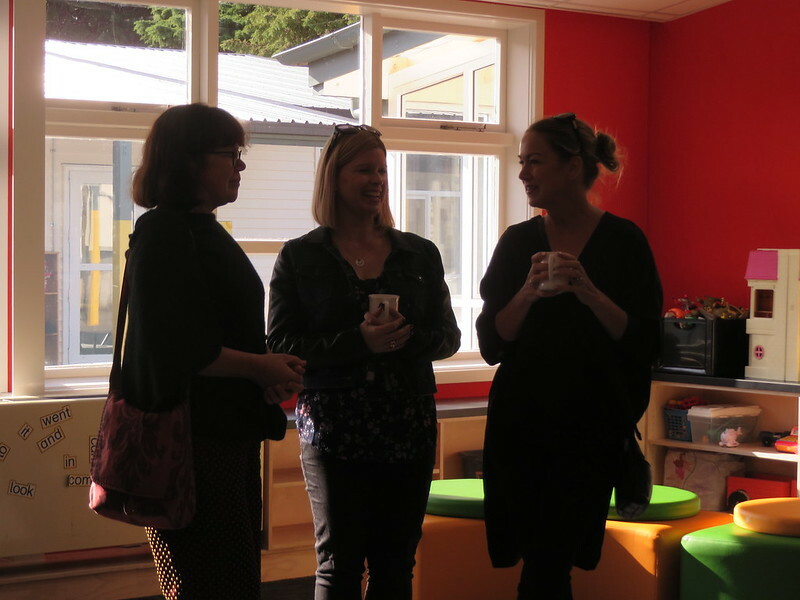 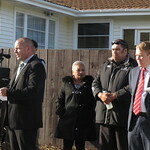 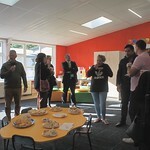 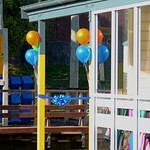 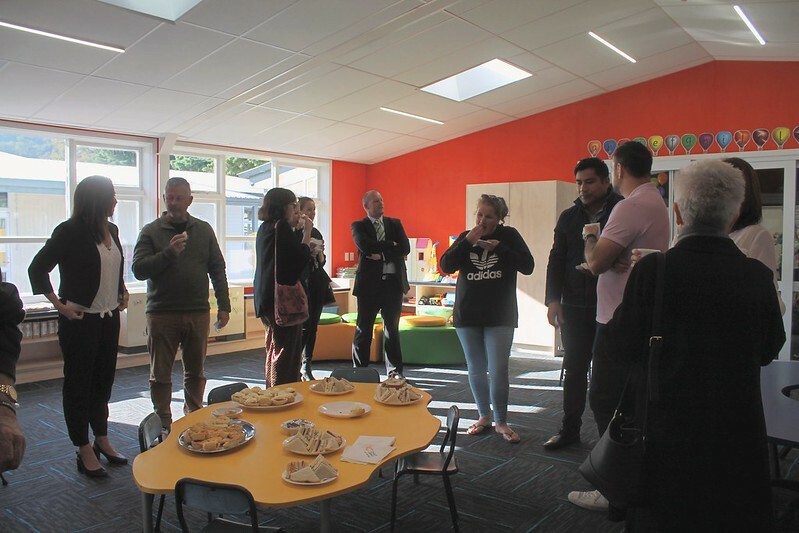 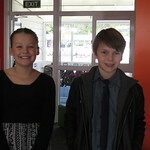 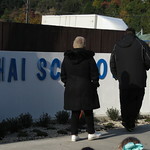 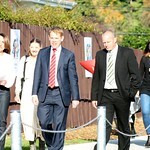 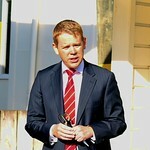 After Mr Hipkins gave a speech, all visitors were invited to go inside, enjoy some morning tea and have a look around. 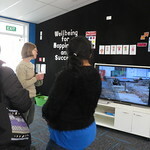 A timeline of photos on a power point for people to look at. 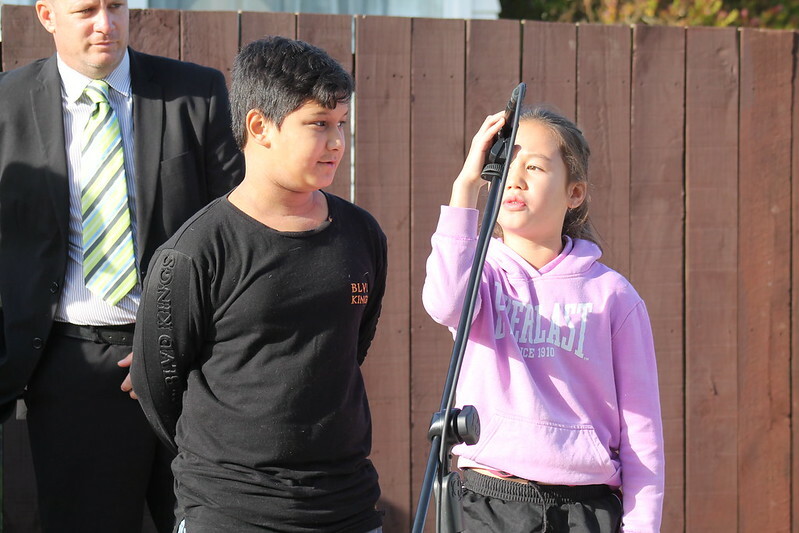 Last Round of Floorball and a Thrilling Grand Final! 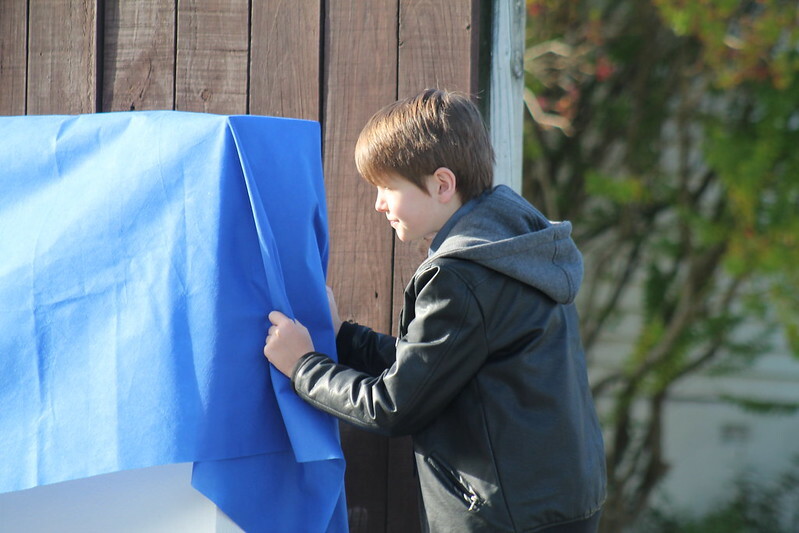 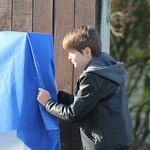 Want to be notified whenever new content is posted to the website?